What do you think of when the calendar reads March 17? The color green and three-leaf clovers? Rainbows, leprechauns, and pots of gold? Bagpipes, blarney stone, and a little thing called luck? You might not think of slavery—of a life devastated by separation from home and family. Of a young man trapped in a foreign land, bound in chains. Or of this same man, miraculously brought to escape only to willingly return to the land that held him bound, and all for love. You may not think these things, for this is the story that often goes untold. 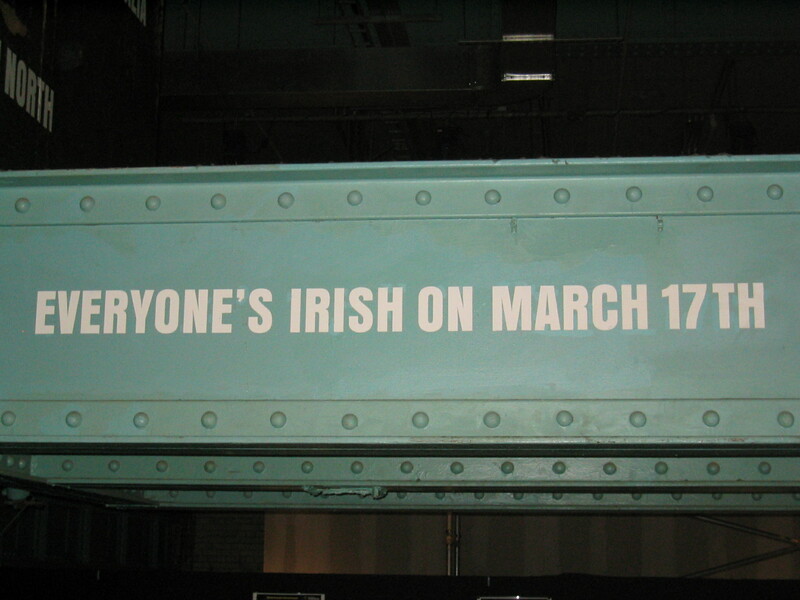 Where I live, St. Patrick’s Day is a festive holiday for the Irish and non-Irish alike. Green-painted people roam the streets, some with tall green hats or shamrocks springing from their heads. Thousands flock to the parade and all the after-parties, sharing a toast to the day when everyone’s Irish. Even the river goes green. But are we aware of the haunting yet heroic story behind the day? While he is often presumed to have been Irish, Patrick was actually from what we now know as Great Britain. And while he is deemed a saint, his life was not always all that saintly. His story is tragedy turned epic. As a teen, he was taken captive by godless men and sold into slavery. At the time, he’d vehemently rejected the faith for which he is now known, but life as a slave opened his eyes to the powerful yet loving hand of God in his life. There in Ireland—far from all he knew and loved, he found the forgiveness of God. After six years of slavery, he escaped on a ship and returned to his homeland. A few years after his return, Patrick had a vision calling him to make the ultimate sacrifice—to leave his family, this time willingly, and to return to the people who had enslaved him. I can’t imagine what he must have felt, and how he must have wrestled. To return to those who had treated him with such cruelty, and to preach a message of love and forgiveness? Only one who knew such love and forgiveness could complete such a mission. And Patrick knew. He knew he was no saint. He knew he needed forgiveness. And he knew that forgiveness came as a result of God’s great sacrifice for him. It was gratitude for this love that moved him to sacrifice, as well—and not for those it was easy to love. He nobly sacrificed for those who had stolen his very life. And that degree of sacrifice is the essence of true love. Can we toast to that? Posted in Faith, Inspiration and tagged 50ShadesOfTrueLove, Ireland, Love, Missions, Sacrifice, Saint Patrick, Slavery, St. Patrick's Day on March 17, 2015 by jenna fernandez.